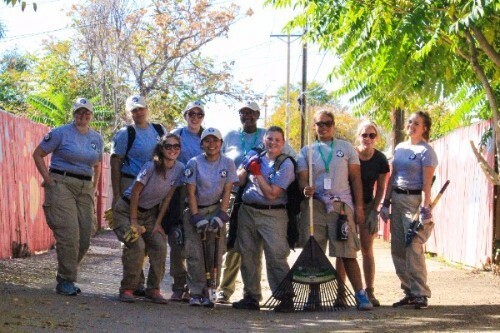 What an amazing year 2016 has been for Extreme Community Makeover! We had a record number, 4,000+ volunteers who participated in Work Days. And many of these volunteers travelled many miles to lend a helping hand. 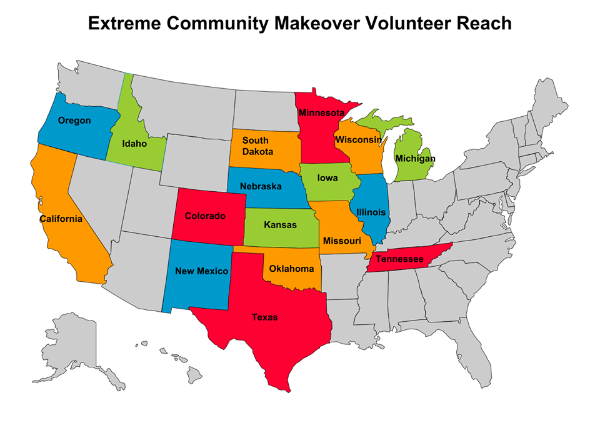 Check out the map below to see the extent of our volunteer reach this year. 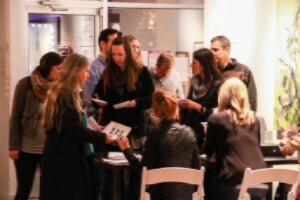 And thank you for your part in helping us serve Denver neighborhoods “one block at a time”! 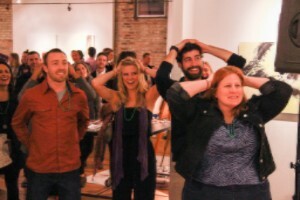 Our annual Art is in the Air event last weekend was a success! We had a great turn-out of long-time friends, as well as those just learning about ECM for the first time. If you weren’t able to attend, but would like to donate toward helping us reach our $20,000 fundraising goal, we are so close and your donation could help us reach that goal! Check out pictures from the event as well. 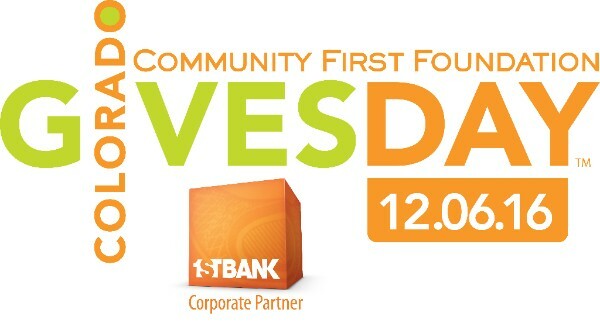 Colorado Gives Day is an annual statewide movement to celebrate and increase philanthropy in Colorado through online giving, which will take place on Tuesday, December 6th this year. When you donate to a participating nonprofit, such as Extreme Community Makeover, your donation will be boosted by the $1 million incentive fund and count towards prizes for nonprofits. You can even schedule your donation today, so you don’t need to wait until December 6. Thanks in advance for your support! Thank you to all of the volunteers who participated during the month of October!